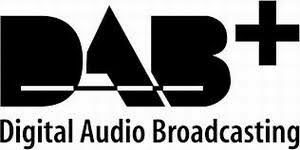 The Swiss Government has taken the decision to facilitate the transition from FM to DAB+. The Federal Council of 25 October 2017, shows, “ Switzerland 2025: No FM only DAB + “. Radio broadcasting history of Switzerland started from 1935. This year Swiss Radio International came to air as pub lic service broadcasting. Swiss Radio International ceased all of her radio broadcast from the end of October 2004 (B04). Community Radio Free FM 89MHZ was launched in 1992. Formerly it known as AM1206, and rebranded in 2004 and 2012. The Station previously broadcast as Community Radio Hamilton on AM1206 and low-power 106.7FM in Hamilton city. It is now in Hamilton, Waikato Region and North Island. Its target listeners of different ages and genders through-out the country. Radio Free FM 89MHZ is also in live stream and on-demand podcasts from their website. The Ministry for Culture and Heritage allocated the 89.0FM frequency to Free FM in October 2011. After several years of lobbying, and raising funds, the Station launched successfully as Radio Free FM 89MHZ on 1 August 2012.